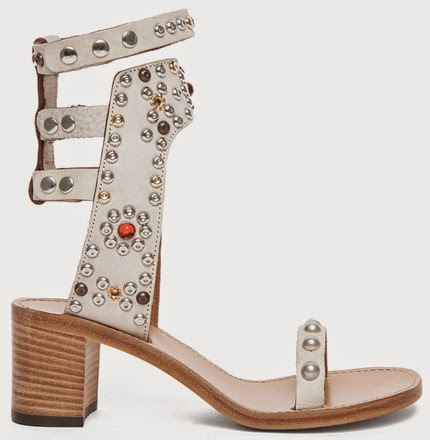 I've always loved the studded "Carol" sandal by Isabel Marant since they were released. Because if the cult following this brand has whatever the French designer brings out on the market is almost instantly set to be a guaranteed success. This boho-chic summer sandal has become the "It" shoe of the season. I love these shoes but there is absolutely no way I could justify the huge €750 price tag that comes with them. I won't be buying these shoes anytime soon so of course I am sharing with you the fabulous Look4Less that I have found. The Isabel Marant inspired sandals below are by Jeffrey Campbell. These sandals are almost an exact match. They are available in white and black leather. The Marant dupes below cost €144 and are available from Nasty Gal.